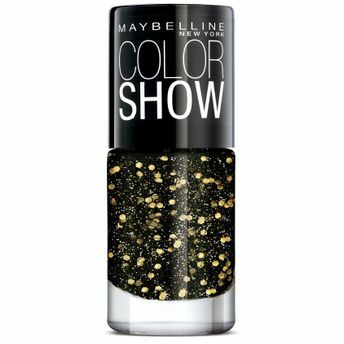 Flaunt dazzling nails this festive season with the Maybelline New Color Show Party Girl Nail Paints! The stunning glitter nail paints are the best accessory you can flaunt this season. These Runway inspired range of colors help you stand out and make a style statement. The bold, glittery and glossy texture nail paints look opaque in a single coat and makes an instant hit. Available in 8 Gorgeous Glitter Shades. High coverage glitter nail paints. Explore the entire range of Nail Polish available on Nykaa. Shop more Maybelline New York products here.You can browse through the complete world of Maybelline New York Nail Polish .Alternatively, you can also find many more products from the Maybelline New York Color Show Party Girl Nail Paint range.